Hi Tim, just thought I would drop you a line to say a big Thank you for all your help over the last few years in particular this past year! I have been using your recipes and ideas which has culminated in my last 4 fish of the season being 30’s out of two different waters I’very not fished before; fantastic because less than 10 percent of the fish in these waters are over the 30lb mark. Does this point towards your ideas being big fish selective… we will have to see this coming season, and it’s looking promising! Hi Tim, following your tuition course, and reading I have had a 62 lb, 50 and 41 pound carp plus thirties in 2015 in a session; thank you for your inspiration! I have so many more exciting ideas; this is absolutely great and has caused me to improve constantly!! I have been far more disciplined, analytical and methodical lately. I made my own hook baits with lots of attraction. One of my results of 2015 was on a hard syndicate lake: I fished an overnighter, all the pegs were taken with 3 or 4 rods on each peg, yet I had 6 fish: 1 was the biggest common in the lake! Note: And I only used 1 rod and no free baits!! 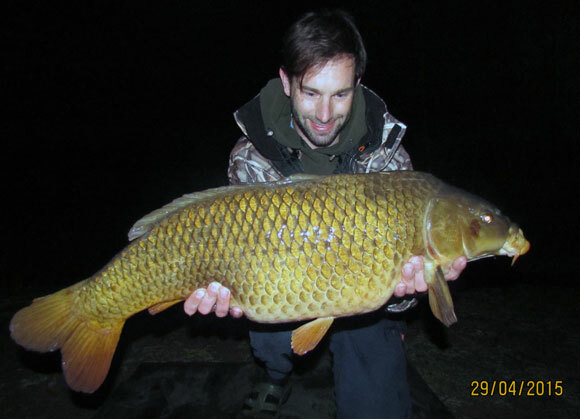 Only one other fish was caught at that time, and some anglers had been there for 4 days and blanked! Personally I’ve had so many really good catches, in general have caught more than most other guys, even though I can only manage short nights! Hi Tim, wow! Love it! I have been telling loads of people about your writings and how impressed I am, I can only see good things coming your way in the near future mate, should you need my help in any way whatsoever consider it done, call me anytime, also if I have any pressing bait questions I will ask for your opinion Tim if that’s Okay with you, as I like your thinking. Best wishes Frank. Even with this limited time and only three years fishing experience under my belt I am top rod on this water with over 100 carp this season. I have been putting a lot of time and thought into my bait, since using your new bait making secrets course! Most of the sessions I fish are in the evenings for 2-3 hours as I don’t have much time as me and a friend started a new business in the last year. I have managed a couple of 24 hour and 12 hour sessions though, all the time being spent on my clubs medium hard water. I have had numerous and repeat 20s with multiple 20s in a session time and time again in the last year. Beating my pb many times it now stands at 27lb 12oz. My best session was a 4 hour evening fish in August. It was a hot sunny afternoon around 4.30pm no breeze and only a 4 carp out that day. I spotted a few carp gathering in a small strip of shade off the back of the island. I cast my two rods to these with small pva bags with this new paste in them and the hook version attached. The first take came in 5min and I had 18 carp up to 24lb and had to constantly juggle the rods to keep up! All that stopped me catching more was running out of bait as this was only a 250g test batch! Yes, I guess knowledge really is power Tim! Using your course I no longer think of bait as a object but rather chemical trail of triggers, attractants, palatants, acids, sugars, enzymes and micro organisms in a solution leaving a map to my hook and its concentrated zone. My baits as you say are now form following function rather than function following form as in not being round inert hard balls of doom! To quote Bruce Lee “Empty your mind, be formless. Shapeless, like water. If you put water into a cup, it becomes the cup. You put water into a bottle and it becomes the bottle. You put it in a teapot, it becomes the teapot. Now, water can flow or it can crash. Be water,”. If you add bait to a lake it must become water, it must become the lake! Lol! I have no problem whatsoever with you using any of my emails in part or full or any of my photos it’s the least I can do for you Tim! Kind regards and many thanks for the knowledge and influence you have passed on to me! Being different and unique and far more knowledgeable really does pay! Thank you for your help and inspiration your course has improved everything so fast! 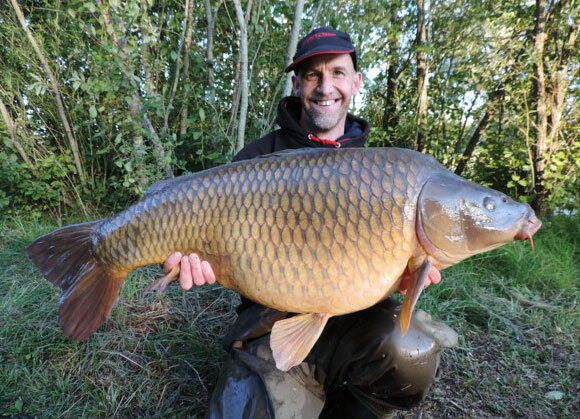 Basemix: (Wrapped in baby milk) your special basemix paste, with matching lactoB partiblend lands me one beautiful female 30lb common called spike, biggest fish in the lake! Guess the designed mix works… Thanks for the books, would love to fish a swim next to you one day!! Ever since my 1-1 bait tuition with you my whole life has improved 100000 that’s 1 million fold. Gone are the days of humdrum rat race living. I really think I now am striving to achieve goals in my own life that a few years ago I had never ever contemplated. All is positive not negative! “Simply buy the new E-book! I’ve read his previous ebooks, such a wealth of information relating to carp and catfish, covering such things as feeding triggers, flavours, behaviour and the like. Thanks to Tim and some of the methods he employs throughout the books, I adapted these to my own fishing methods, my PB was at 25lb for a long time with blank after blank using top quality boilies frozen and shelf life. But after trying some of the homemade bait ideas from Tim I recently banked an amazing new big best PB mirror carp on a notoriously hard Northern water employing his tactics and thinking and ideas. No one else caught around me, yet I got liners, bleeps, pick-ups and active indications all throughout my session! 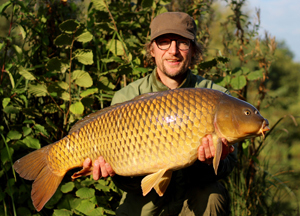 The ebook insights, experiences, ideas and information offer a way of thinking outside the box or ‘normal.’ You can be successful catching big carp faster without expensive readymades; Tim’s books prove that! also the great thing is I can control every aspect of my baits that I choose, and better maximise and adapt my baits for all seasons with the aim of catching substantial carp and catfish in the short or long run. My experience of homemade boilies started when I was testing homemade base mixes; I had little experience but threw together some ingredients which appeared to work well together. Having managed to actually bind, roll and cook the ingredients without them falling apart, I took the bait to a runs water and along side my brother, began what I can now call a ‘commercial’ day session. I was confident in my baits and my brother was citing me against the performing Mainline ‘Cell’ boilies. The test started slowly and neither of us were really getting ‘red letter’ results. This was initially put down to the weather and atmospherics. After a quick call to my now good friend Tim Richardson, he rocked up…and the magic happened. Change of tactics? Change of location? Change of rigs…no…change of bait. Tim suggested that my baits were okay…but that was it. Gutted but enthused. The good news is that I smashed the water. The not so good news is that the tea that I tried to make never actually got made and Tim went thirsty. No sooner had the tea bag hit the bottom of the cup when the alarm melted off. This was to be the case for the rest of my session until I had run out of Tim’s homemade bait on test and chocolate biscuits! The amount of carp caught is actually unknown, save to say it was a large number with the average weight between 5lb to 15lb. Looking to the other side of the swim, my brother (using Mainline cell) had been converted and a PVA bag was being constructed using the same set up as me…albeit with crushed Cell boilie. He had the same experience but it was no way anything nearly as effective with his bait and the individual fish weights weren’t as big. Interesting. After that ‘Eureka’ experience I pushed to learn more about ingredient and what stimulates carp to triggering them to hit your baits. I think it is fair to say that there is no magic answer and there never will be…you still have to angle well to catch. A home-grown bait which overpowers commercial baits will give you an upper hand and let’s face, it is dog eat dog on the bank. A while later…after tweaking and refining and testing on different lakes (some easy and some difficult), I started to and see fantastic results! 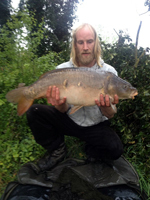 The results were so much better compared to commercial boilies and angling colleagues wanted to purchase my baits. I respectfully declined in the knowledge that I was going to make the most of my baits rather than the fish getting used to them by kilos being launched in by ‘commercial’ anglers. 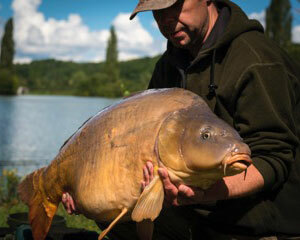 In 2013 we both booked a trip to Gigantica, France, and each took 25kg each of my homemade delights. On our arrival we were excited but nervous hoping my bait works on a difficult and prolific lake. The draw was made and I was advised by the resident bailiff not to throw kilos and kilos of bait in. I wish some would listen…the guy next to me added 10kg per night. 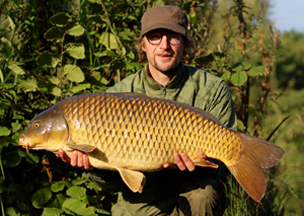 Furthermore, we dug deep after the bailiff said that homemade boilies just don’t work at the venue. We received a ‘good luck’ gesture. Weather – a calm start to the week with some sunny days changing to a very wet end to the week, Pressure – 1017, Water Temp – 18 degrees. Number of Anglers: 9, Number of Bites: 16, Fish Landed: 10. So as you can see from report the week ended on a high with homemade baits on a tough lake with switched off fish and poor weather conditions. This boilie mix I still use and although sometimes I tweak it here and there, it has a solid baseline set of ingredients. I do also enjoy taking this bait to a runs water several times a year during different seasonal conditions to see its performance of trigger frenzy feeding. I hope this short write up inspires you like it does for me to learn more about ingredients, chemicals and what triggers fish to take your own bait. The satisfaction of landing a carp using your own homemade baits is far exciting than using a bag of boilies from a shop! Be opened minded, don’t stick to one idea, don’t be frightened to try outside the box and the results will show! My brother and I haven’t bought commercial baits for many years now and have had lots of satisfaction in making very effective potent baits to suit our fishing! Finally got out fishing this weekend since our visit to yourself. We made ourselves a couple different baits and went out and gave it our all. 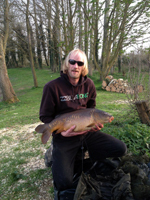 Unfortunately Joe lost a fish but I ended up with this 32lb 8oz Mirror in the dying minutes of our session! I moved to some showing fish in a quiet corner of the lake for the last couple hours and after dropping a combo of homemade baits on a showing fishes head, watching it roll above my bait 3 more times, just as I was about to call it a day over an hour later, the rod tip twitched. And again, and again, till I picked up and it took off! Words cannot describe how over the moon I am for this fish, not because of the weight, but because of the beauty of this creature, and finally putting and end to a painful blank run I’ve had on this lake all this Year! What a way to start a winter ticket and first session on homemade baits! I just want to thank you for the course Tim!